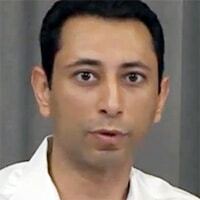 “There are 8,500 issuers in the US and literally it will take them a lifetime to actually work through negotiations with all these issuers,” Google Wallet’s Robin Dua has told developers during an online Q&A session on its recent move to a cloud-based approach to card provisioning. Google believes it will not prove possible to scale up NFC services like Isis that rely on individual cards being provisioned directly to the secure element on a subscribers’ mobile phone, according to Robin Dua, Google’s head of product management, consumer payments and wallet. “There are 8,500 issuers in the US and literally it will take them a lifetime to actually work through negotiations with all these issuers,” he added. Additional card issuers are expected to announce support for Google’s “save to wallet” API in the near future, following Discover’s move earlier this month. “We have a bunch of other card issuers that are going to be partners announcing support for these APIs very soon,” Dua said. Next up is likely to be a suite of tools for smaller merchants to issue and track coupons and loyalty programs, a service referred to by Dua several times during the session. “We’re creating some cloud-based tools that will make it easy for small to mid size retailers to create loyalty and coupon programs in a very inexpensive and cost-effective way,” he explained. The ability for users to pay other individuals via Google Wallet is also under development, but Google is not providing any details yet. “Stay tuned for some announcements there in the next little while,” says Dua. Google knows that ISIS has lined up the support of all the Telcos and hardware manufacturers, and will be a Goliath to their David. Funny he mentioned the negotiations with 8500 issuers. I think Google forgot to negotiate with one of them – American Express, who was very displeased by their inclusion of the Amex card in the new 2.0 Cloud method of storage without their consent. The 8,500 challenge is overstated. 92 + % of Active Cardholders are served by 12 top Issuers. Many Issuers processing is outsourced to a few vendors. These Vendors in turn create reuseable solutions.